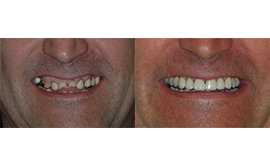 Dental implants provide an incredible option for people with circumstances that keep them from having the smile they want. 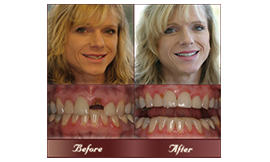 Whether you have missing teeth, dentures that you are tired of maintaining, or don’t want a bridge implanted because it requires removing some of the existing tooth structure, we offer some of the best dental implant services in Albertville. 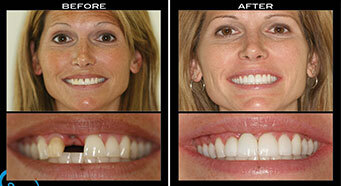 White Smiles Dentistry wants to provide you with the implants that will give you the smile you deserve! 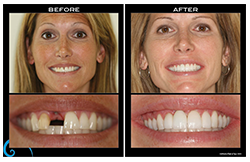 Appearance –Dental implants are designed to match your smile in regards to structure and color, looking remarkably natural and full, giving you a perfect smile. 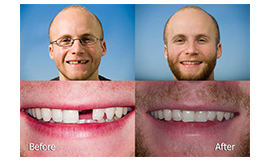 Permanence – Because the implant itself is specifically made from material which, over time, works to fuse with the bone already in place, you get a secure tooth that you can count on over time. 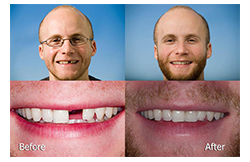 Comfort – You get to remove the hassle of removable dentures, avoiding slipping teeth and improving your comfort without the day. 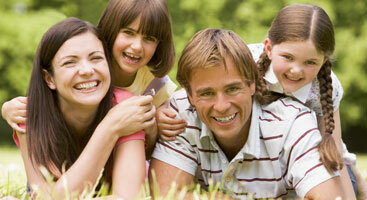 Confidence – Filling out your smile naturally, while remaining secure, you have a renewed confidence in your smile and yourself. 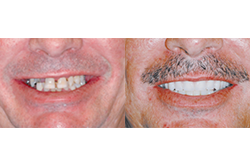 Convenience – Without the need to remove dentures or deal with messy adhesives, having dental implants is easy and convenient. 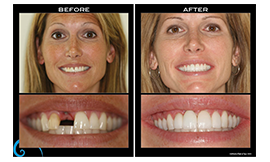 Because dental implants require both extraction and oral surgery in many cases, it is necessary for the patient to be healthy enough to undergo this procedure. 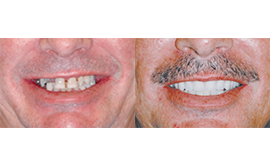 If you are a heavy smoker, have chronic disorders like diabetes, or have had radiation therapy performed on the head or neck area, it is important to have a full consultation with one of our dental implant professionals or one of our high quality gentle dentists, so we can talk about the risks involved and whether or not you are qualified. 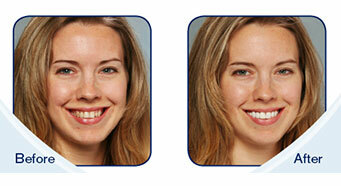 It’s time to renew your smile, your confidence, and yourself with the dental implants that look natural and remarkable. 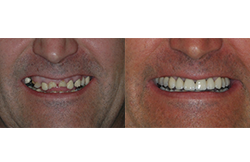 With a five year guarantee on all of our implants, and an on-staff prosthodontist, contact us today to see how we can help.